Federal police evacuated the 151 passengers down emergency slides. A LONDON-BOUND easyJet flight was diverted to Cologne last night due to a “suspicious conversation” heard on board, with passengers evacuated on emergency slides and three men arrested, German police said. The pilot of the flight from the Slovenian capital Ljubljana decided to land after passengers told flight attendants “that several men were talking about terrorist activities,” a police spokesman told AFP, without elaborating on the content of their discussion. After the plane landed in a secure area of Cologne-Bonn airport at about 6pm, federal police evacuated the 151 passengers down emergency slides. They isolated a backpack belonging to the three suspects, which was blown up by bomb squad officers. The three men were handed over to police in Cologne, but no details were provided on the contents of their baggage or the reality of the threat. Air traffic at the airport was interrupted between 7pm and 10pm with 10 flights diverted and 20 departures delayed. Cologne police searched the plane using sniffer dogs. In a statement, the airline said the captain had diverted flight EZY3246 “as a precaution to enable the aircraft to go through additional security checks in Cologne”. 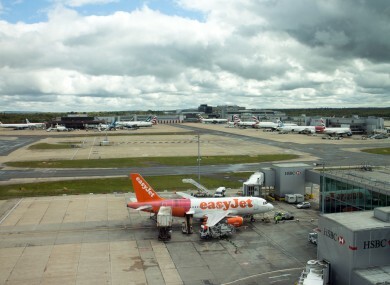 Easyjet said the flight would take off Sunday after passengers had been provided with overnight hotel accommodation. “The safety of easyJet’s passengers and crew is our highest priority,” it said. Germany remains on high alert following several jihadist attacks there and in other European countries. Authorities the previous weekend evacuated Germany’s biggest rock festival, the three-day “Rock am Ring,” over fears of a possible terrorist threat, which proved unfounded. Email “London-bound flight diverted over 'suspicious conversation'”. Feedback on “London-bound flight diverted over 'suspicious conversation'”.